What is Mrs. Schuler Reading Right Now? Before you look below and discover how many books I am currently reading… I feel I need to give a disclaimer. I always encourage my students to focus on one … maybe two books at one time… and I have CERTAINLY ignored my own advice. If I were to take AR quizzes on these books as I finished I am not very confident that I would score well! I pretty much have a book sitting in every spot in my house that I might have a minute or two to read (including my sons’ diaper bag!). I don’t get much reading time… but when I do I love diving in! This is the book I am currently reading on my tablet. Since my son often has control of my tablet I have been reading this for awhile! I started reading it because it was on the Mark Twain Nominee list for the 2016-1017 school year. I chose this book because I enjoyed Stuart Gibb’s other Mark Twain Nominee (2012-2013), Belly Up. I didn’t realize before I started that it was the first in a series… so it looks like I will be working on some Stuart Gibbs books for awhile. I am a little over HALF finished with the book and I will say I do find it difficult to stop reading each time. Although this is different from Belly Up because it does not focus on animals … I do like Stuart Gibb’s mystery style. I can’t help but think of certain student readers because Stuart does have a fun way of including some gross humor (potty humor) … in this book he spends awhile talking about the main characters unique toilet situation considering he lives on the moon. Look for my full review when I have finished the book! Wish me luck! Update… as you can see above I finally finished the book. All I am going to say right now is WAY TO GO Stuart Gibbs… you surprised me! … Also… I immediately bought book two in the series! 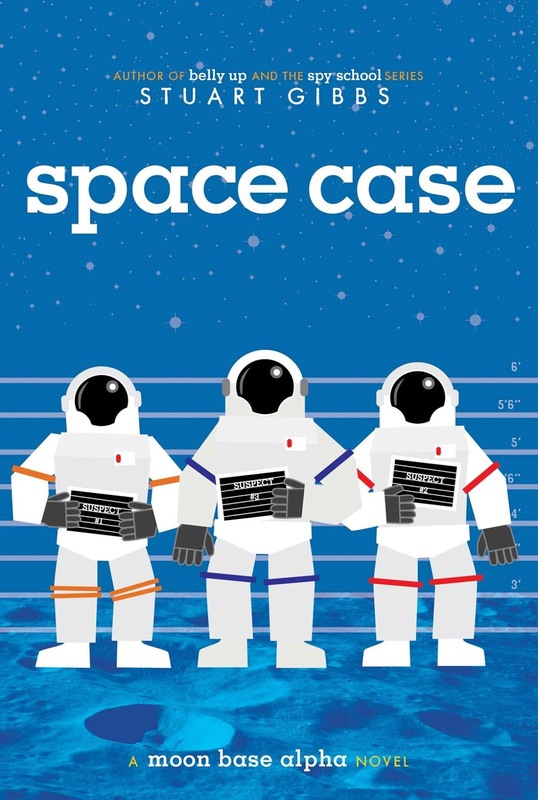 I started reading Spaced Out right away! I LOVED it too! This book is a companion to a book, Goblin Secrets, that I started reading almost by accident. 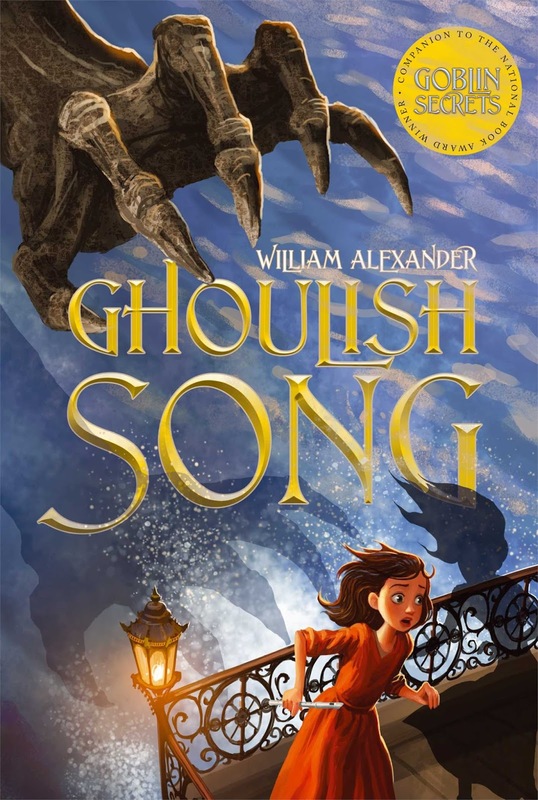 Our local Hastings went out of business and Ghoulish Songs was one of the first books I grabbed in the beginning sales. I grabbed Ghoulish Songs because the character, Kaile, was holding a flute in her hand. I used to play the flute… so the cover pulled me in. After I had purchased Ghoulish Songs, I discovered that it had a companion book and thought I needed to read it first. I finished reading Goblin Secrets earlier this school year (2016-2017). I haven’t gotten very far into Ghoulish song because I became distracted by the Mark Twain Nominee List for the 2017-2018 school year. This is another book purchased when my local Hastings was going out of business. I actually bought the entire series to donate to the Sterling Library… I just can’t seem to let them go before I read them. 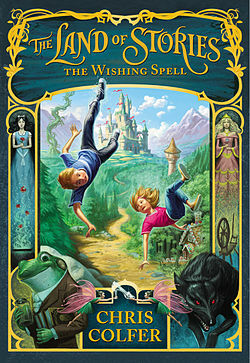 I became interested in this series when I heard Chris Colfer had started writing book. I am a HUGE Glee fan… so I just had to see what type of stories Chris wrote! (If you don’t know Chris Colfer was a main character in the TV show GLEE.) When I discovered it was fantasy … I was HOOKED! I especially love stories that are fractured fairy tales (basically taking the stories we grew up with and expanding or changing how they are told). I also like when “average” kids are suddenly drawn into magical/fantasy worlds! (Harry Potter, FableHaven, Kingdom Keepers… ). I just read a part where Alex and Conner (twins) encounter the Goldilocks character in the Dwarf Forests … she is a pretty intense character… taking on the Big Bad Wolf Pack. Once again this is a selection thanks to the Mark Twain Nominee List (2016-2017). Ms. Harden and I were both so surprised that it wasn’t checked out more seeing that it was in the fantasy genre. When I realized it was being released with a new cover… I decided to give it a read myself. 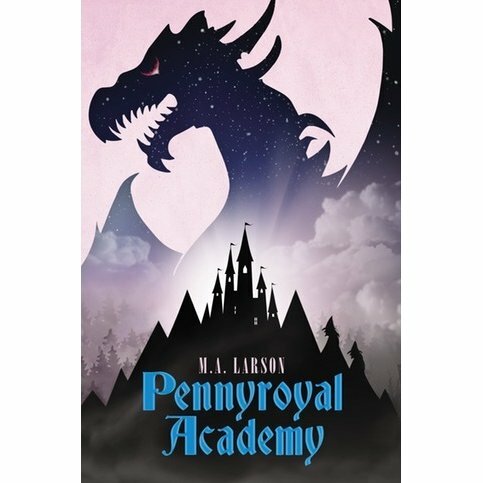 I feel students will be more drawn to the new cover… what do you think? The cover above is the new cover… below the original that we have in our library. 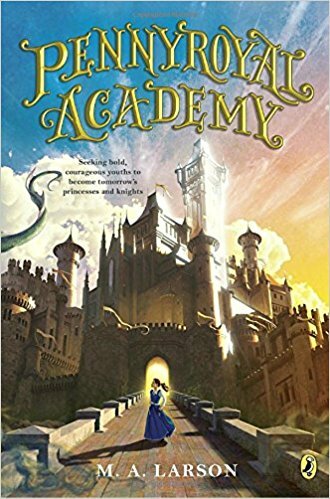 Again… I am not very far… I have too many books going at once… but this fantasy starts off so mysteriously… that I have a hard time putting it down. Next Next post: Top ten… no 20… well maybe 25… uh oh… Houston I have a problem!